"Since the first day Jack and Ana approached us, we were very excited about the project. Our school’s mission has always been to provide opportunities to empower our girls by giving them equal access to quality education, especially in the STEM fields. For this reason, we didn’t hesitate to say YES to The Community Bots. The program began with the teachers´ training, which was absolutely wonderful because Ana and Jack modeled in a remarkable way how to teach robotics with energy, dynamism, and passion, which allowed our teachers, and then our students, to fall in love with the technology. The Fun with Robotics program for the girls exceeded all our expectations. Without a doubt, it broke down the gender barriers and fears that our students had about math and technology. The girls were so excited, motivated, happy, and proud of themselves for their achievements during the program. They were left with a strong desire to continue with robotics and the confidence to do so. What we liked the most was confirming that our girls have the capacity to design, construct, and program robots and to do so much more in the STEM robotics field. It is now our commitment to build upon the success of this summer and to offer this pedagogy and resources to more and more students in our school. Thankfully, The Community Bots has provided us with all the tools and equipment to do this." "The Community Bots program, Fun with Robotics, was an incredibly transformative summer experience for our The Young Women's Leadership School of Queens students. I have conducted countless classroom and program observations over the years, but this was the first time not a single student noticed me entering the room! Every student was completely captivated with the content that was being shared by the robotics facilitators. The Fun with Robotics program taught students how to embrace failure and to use it as an opportunity to improve. It empowered students and truly put them in the driver seat of their own learning.The Community Bots program also allowed students to leverage their leadership and collaborate with each other. Moreover, the presentations about different STEM jobs for women were incredibly inspiring for the girls. I hope they remember what was said to them because I will never forget what it meant to hear someone tell them that they have all the skills and capabilities to potentially work for technology companies around the world." "Although I was a bit weary even when we initiated conversation of bringing the program to Good Shepherd, the experience of the summer program left me completely awestruck. All the participants, even the initially reluctant ones, were incredibly engaged and focused, remarkably, through some of the hottest days of the summer. We had a very wide spectrum of students participate in the program; from the naturally gifted to those that struggle academically. A testament to the patience and enthusiasm of Ana and Jack, they were able to bring out the best of all children and had them all working at the same level. My co-teacher and I, throughout the program, marveled at the participation of all the students. The program itself has been created masterfully to be both challenging and entertaining. They did not realize they were learning so much because they were having too much fun. Rather than continually looking at the clock towards break time they had to be dragged away from their robots and asked several times to stop at dismissal. The joy and excitement on the last day spoke volumes of how successful the program was at GSS. We are proud of our children’s accomplishments and eternally grateful to Ana, Jack, and The Community Bots for their generosity." "The Community Bots is an incredible program that brings STEM Robotics training to girls in disadvantaged communities. 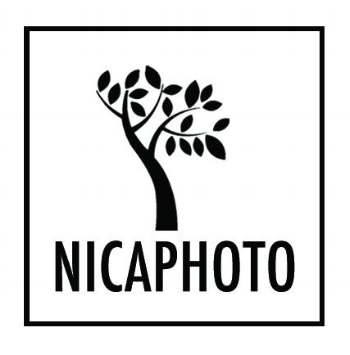 When Jack and Ana presented the idea of coming to Nicaragua to teach our middle school age girls robotics at NicaPhoto and to train our teachers, we were thrilled with the idea. We selected a group of 25 girls to participate. The girls ranged from very good students in the public school to students that have a variety of difficulties ranging from emotional to academic. The program engaged ALL of the girls and kept their interest and attention. I was impressed to see even the students with the most difficulty in school doing the math calculations on the fly, participating in the discussions, and excelling in the class. During the week, the girls had a day off from school and were scheduled for robotics class from 8am - 12pm. The girls decided as a group to ask Jack and Ana if they could have robotics class ALL day because they didn't have school. The critical thinking and love of learning was wonderful to watch develop during the week. The project-based curriculum is formidable. Jack and Ana are both remarkable teachers and incredibly kind and generous. It was an inspirational week for all involved, and we are grateful to know Jack and Ana and for the opportunity to participate in The Community Bots program." "The Community Bots program was a great experience for our students. They were exposed to an entire field of robotics - from building to programming - that was completely new to them! The students were able to move through the program at their own pace and so they were all challenged. It was especially beneficial for them to see examples of women in robotics. Jack and Ana were encouraging and excited about the work and helpful when students were stuck. We now have the materials and knowledge and student interest to start our own robotics program! We are so excited to continue this work for our girls thanks to the generosity of The Community Bots! "